Your very own retro Superman DC Comics action figures! 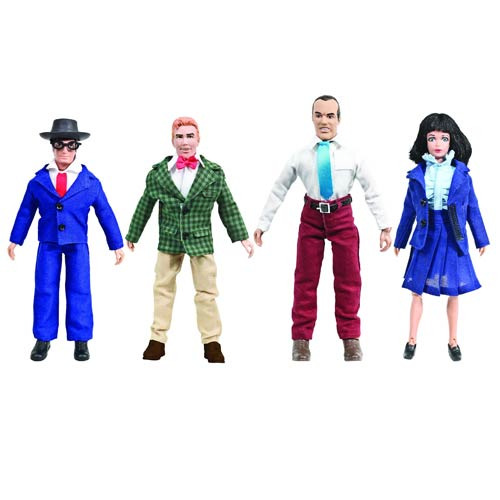 Set includes The Daily Planet's Clark Kent, Lois Lane, Jimmy Olsen, and Perry White! Your very own retro Superman DC Comics action figures! This Superman DC Retro 8-Inch Series 2 Action Figure Set contains 4 individually packaged articulated action figures. Each retro action figure measure 8-inches tall. Ages 8 and up.